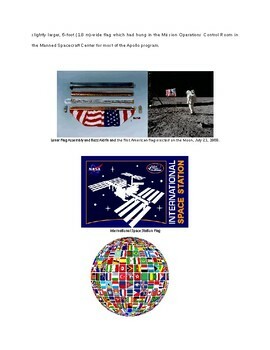 - 2 sheets with a text on flag, Lunar Flag Assembly (flag on Moon), illustrations (Buzz Aldrin on the Moon with the American Flag etc.). 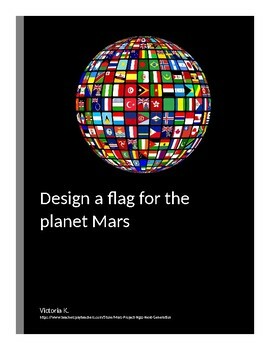 - 1 sheet to design the flag for the planet Mars with geometrical shapes. 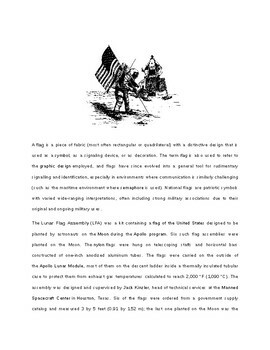 - 1 sheet to write why choose this flag, why this design etc. 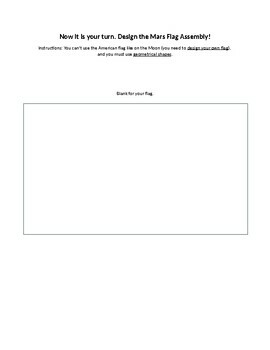 (In option for your student).